Most of our boys enter the school at 4+, with some joining at 7+, 8+ or as an occasional place. Enquire about Rokeby by telephone or email admissions@rokeby.org.uk. You may like to view our prospectus. 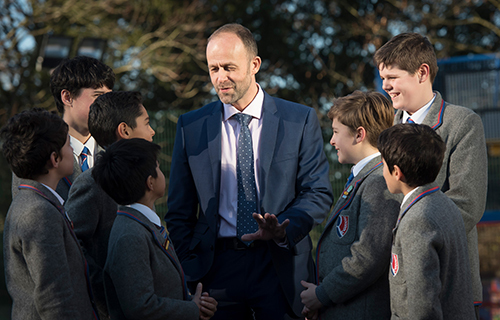 Visit us – attend our Open Morning or one of our Headmaster’s Coffee Mornings. Complete the ballot form, which you will be sent, confirming you would like your son to go into the ballot for a Reception place. If your son is offered a place you must accept the offer within the two-week deadline. If your son is not offered a place he will be placed on the waiting list. All offers are subject to a positive nursery reference and a successful experience at the Reception Discovery Morning. Attend the Parent Information Evening in the May of the year your son is due to start. 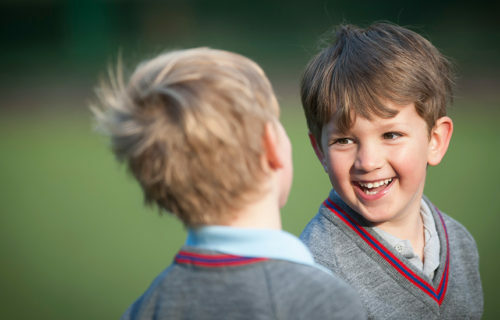 Attend the new boys’ morning in June where your son will meet his new classmates and teacher. Start at Rokeby in September in Reception. Places for Reception are allocated by ballot. Drawn in early March of the year preceding entry, the process means boys’ places are allocated 18 months before they begin school. Boys can be registered for entry at 4+ at any time from birth. The registration fee is £100 and is non-refundable. For entry into Reception, September 2020 you must register your son and complete the ballot form by 26th February 2019. Before being entered into the ballot, parents must have visited the school either at one of our Open Mornings or one of the Headmaster’s Coffee Mornings before the 26th February deadline. In the ballot, the first names drawn will be offered places, with siblings being given priority (provided that the older sibling is doing well at Rokeby). Names will then continue to be drawn and placed in order on one of two waiting lists: one for boys born in September-February and the other for boys born in March-August, to ensure an even spread of ages throughout the year group. 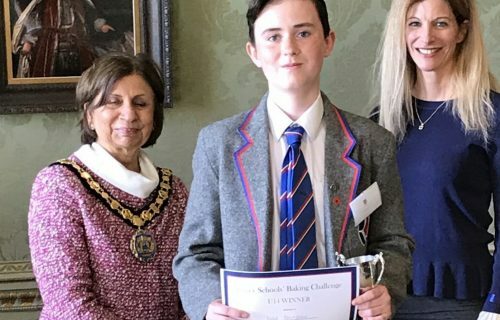 Once offered a place, parents or guardians have two weeks from the date of the offer to return a formal acceptance, and pay a deposit of £2,500, half of which will be deducted from the first term’s invoice, and the balance held as a deposit until the boy leaves at 13. Should a boy leave before this time, the remainder of the deposit will be refunded only if the Headmaster has agreed the reason for his move. If no response to the offer has been received after the two-week deadline, we will assume that the place is not required and will offer it to the next boy on the waiting list. All places offered are subject to a positive nursery reference which we request from the nurseries nearer the entry date and a successful experience at the Discovery Morning. Please be aware that should we have concerns that Rokeby will not be the right setting for your son we reserve the right to withdraw our offer of a place at this point or at any point prior to entry should the need arise. In this case all monies will be refunded (excluding the £100 registration fee). Parents or guardians of a boy who accept, but do not subsequently take up a place, will forfeit the whole deposit paid. If less than a term’s notice is given, a whole term’s fee in lieu of notice will also be payable. A few places are available to external candidates for entry at 7+ and 8+. The entrance assessment for entry into the school at 7+ (Year 3) for September 2019 took place in November. If you are still interested please contact the Registrar on admissions@rokeby.org.uk. If you are interested in 7+ for September 2020 entry the entrance assessments will be held in the Autumn term 2019. The entrance assessment for entry into the school at 8+ (Year 4) in September 2019 took place in November. If you are still interested please contact the Registrar on admissions@rokeby.org.uk. 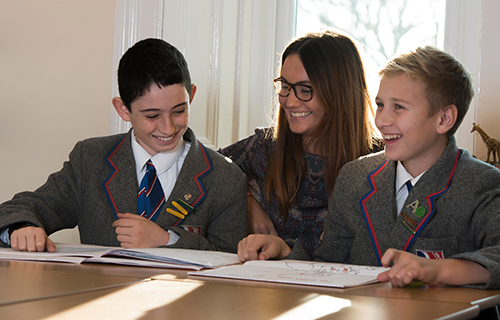 If you are interested in 8+ for September 2020 entry the entrance assessments will be held in the Autumn term 2019. The administration fee for the 7+ and 8+ entrance assessment is £100 and this fee is non-refundable. 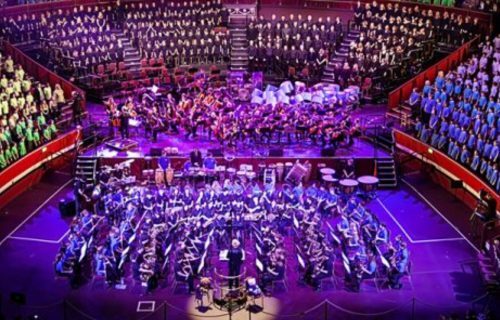 A few places are available to external candidates for entry at 11+ (Year 7). Entrance assessments for entry into the school at 11+ in September 2019 will take place on Wednesday 13th March. To enter for the 11+ assessment, boys must be registered with the school by Monday 4th March. During the morning they will sit papers in Maths, English and Verbal Reasoning. In addition, they will spend some time with their peer group and have an informal interview with a member of the Senior Leadership Team. You will be asked to provide a copy of your son’s most recent school report and we will request a reference from his current school. Year 7 and 8 is a special time for our boys. They work hard whilst learning to lead and manage their busy lives. They embrace new opportunities and responsibilities that come with being at the top of the school. They make lifelong friends and leave with their happy memories, confident and ready for Senior School life. They often come back to visit us. Come to our 11+ coffee morning to meet our boys and key staff. We operate small waiting lists for occasional places at other entry points throughout the school. Each candidate is assessed in relation to his age, with younger boys being given a more informal assessment. 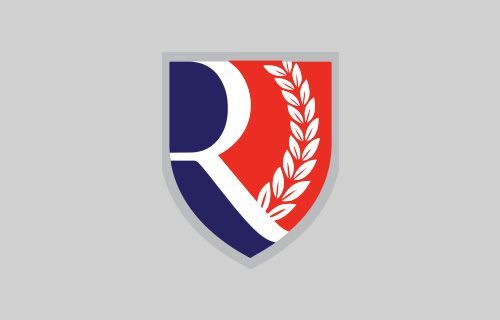 If you require any policies or further information please contact the Registrar on admissions@rokeby.org.uk and they will be forwarded to you free of charge.